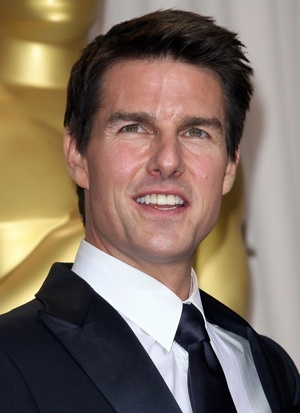 Tom Cruise in A Star is Born… Mission possible? A Star is Born… again. Warner Bros. is hard at work on the remake of the musical, which has Beyoncé as its leading lady. The studio is looking for her male co-star and they may have found him — in Tom Cruise! Has Tom Cruise been bitten by the musical bug? There are reports that the actor could appear in Clint Eastwood‘s adaptation of A Star is Born opposite Beyoncé Knowles. According to Deadline, Warner Bros. is courting Cruise to be the main man in their remake. A Star is Born centers on an aspiring actress-singer and her aging movie star husband. We follow the couple as they struggle with her Hollywood rise and his infinite fall. The film was previously produced in 1937, 1954 and 1976. The original starred Fredric March and Janet Gaynor, the remake featured James Mason and Judy Garland, and the final one paired Kris Kristofferson with Barbra Streisand. So far, Beyoncé is the only talent signed to the latest version and there’s no word on whether or not Cruise will commit. The actor’s got a full plate of films that include Joseph Kosinski’s Oblivion and Doug Liman’s We Mortals Are. Cruise has already flexed his vocal cords in the upcoming Rock of Ages, which is based on the stage play of the same name. In it, he plays a heavy metal icon called Stacee Jaxx. The musical is directed by Adam Shankman and scheduled to hit theaters June 15. As for A Star is Born, Cruise isn’t the first actor to be rumored for the film. Russell Crowe, Will Smith, Christian Bale and even Eminem have been mentioned as possibilities. Who could be next?